Jignesh V. Unadkat, MD, received his medical degree from the University of Mumbai. He then pursued basic surgical training in London, UK. Upon passing the Member of Royal College of Surgeons of England exam, he moved to United States and trained in plastic surgery at University of Pittsburgh Medical Center. After completing an integrated residency in plastic surgery, he pursued a fellowship in hand surgery in the Department of Plastic Surgery and Orthopaedic Surgery at the University of Pittsburgh Medical Center. 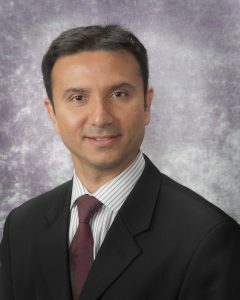 After graduating from Hand Surgery Fellowship in 2016, he has been retained as an Assistant Professor at the University of Pittsburgh in the Department of Plastic Surgery. He is a founding member of The American Society for Reconstructive Transplantation and a reviewer for American Journal of Transplantation and Plastic and Reconstructive Surgery Journals. His research interests include vascularized composite allotransplantation, Brachial Plexus and Peripheral Nerve Surgery and development of novel technologies for drug delivery. Best Overall Presentation. Annual Meeting of the Ohio Valley Society of Plastic Surgeons.